A colorful palette always boosts me up whenever I check out my stash. 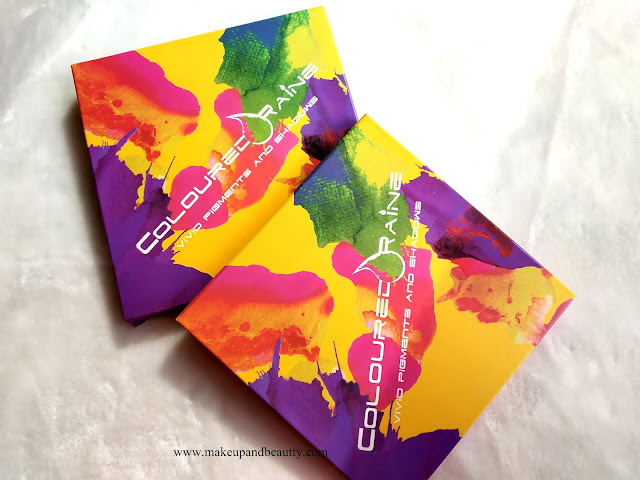 and so today I am up with one my recent buy and that too for the first time from the brand COLORED RAINE, their VIVID PIGMENTS, AND SHADOW PALETTE. Price:- $50 for 16 eyeshadows. 16 shades of matte vivid colors that's suitable for all skin tones. 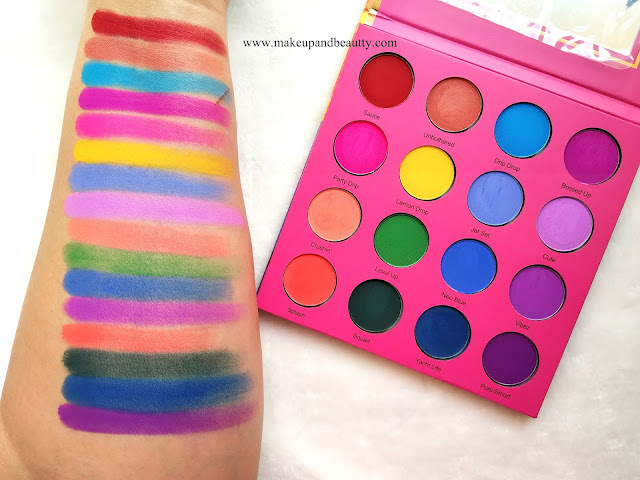 Vivid Pigments and Shadows is available in a range of vibrant, highly pigmented shades. These wearable pigments feature a super soft, ultra-blendable formula. 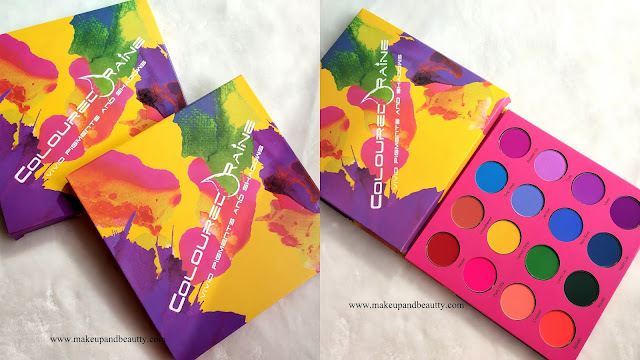 The palette comes in a vibrant sturdy cardboard packaging. It has a magnetic closure. There is a huge mirror along with the palette. Before investing in this vivid eyeshadows palette I researched a lot on the web about the reviews and I could not find any negative review of it. 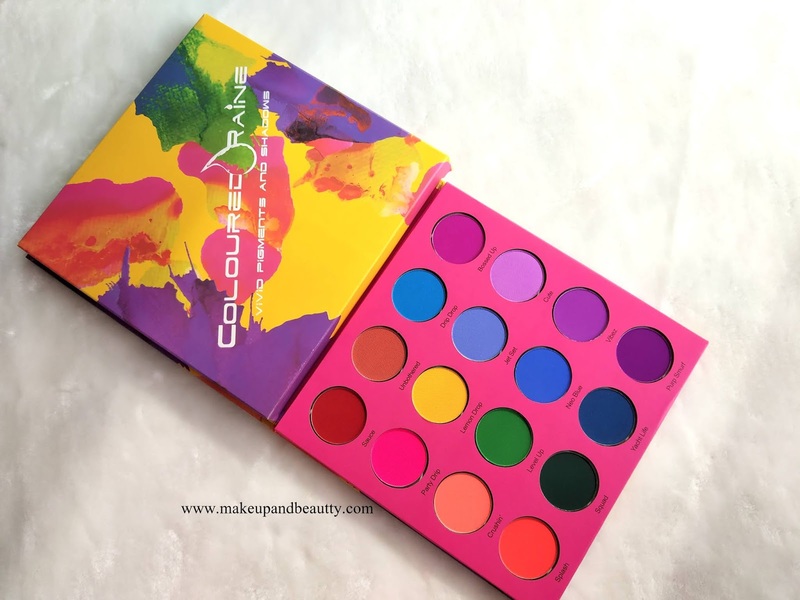 So I ordered this palette during the sale from the Instagram seller. 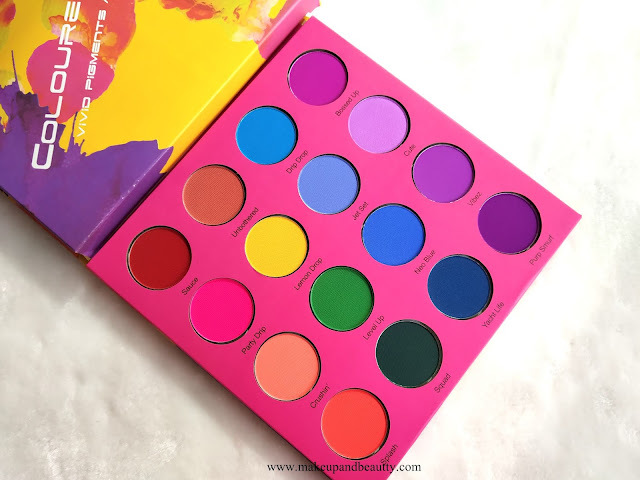 The moment I have this palette I just fell in love with it. 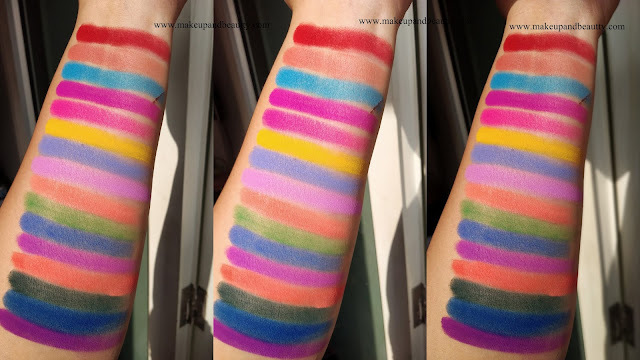 All the eyeshadows are matte and they are highly pigmented. Although touching these eyeshadows you can feel these are powdery and few are little grainy. But shockingly all the eyeshadows blend effortlessly on my lid and there are no fallouts. I was really amazed at the quality of the pigments and eyeshadows. The shadows work perfectly with or without an eyeshadow primer. And they stay pretty 8-9 hours intact on my eyelids. 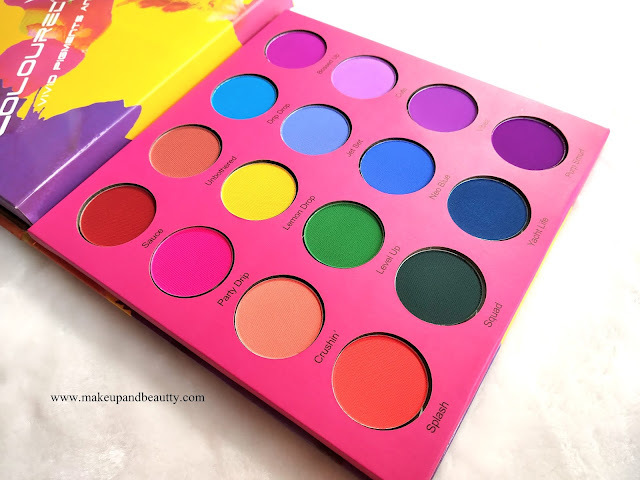 Now as this one is a pigmented eyeshadow palette so you can see that few shades might stain your eyelids. If it happens just don't panic or hype, it is very common with pigments. Just apply a little amount of coconut oil on your eyelid and leave it for 5-10mins and then wipe it off with any wet wipes followed by wash your eyelids with any mild face wash and the stain will be gone. So this is the only down point of this eyeshadow palette else there are no other cons. This is my first buy from this brand and it didn't disappoint me so definitely I am going to try out a few more palettes from this brand in near future. Overall I loved the palette. 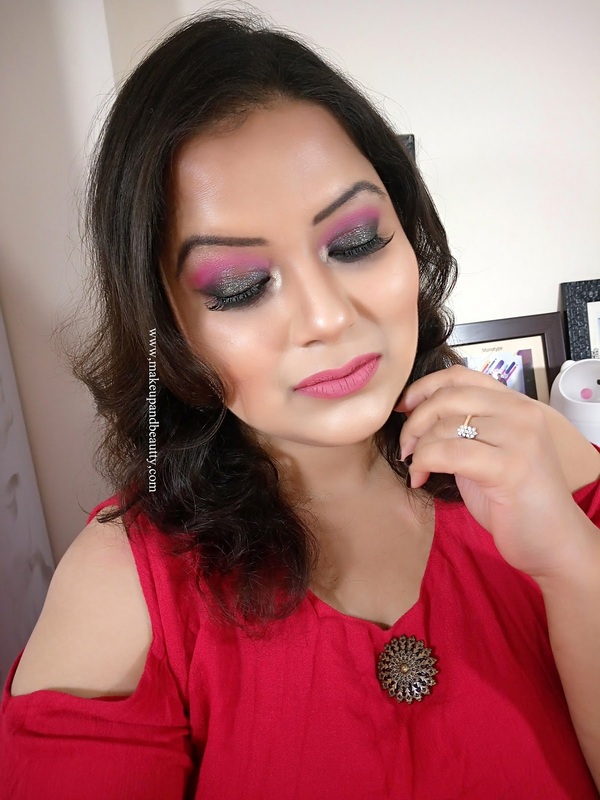 And definitely, I would love to recommend it if it is easily available in India at a cheaper price but it is not so, so I would say try "INGLOT" eyeshadows which are easily available in India and have almost all dupe shades of this palette. The pink eyeshadow use on crease line is from this palette and it stains my eyelids.